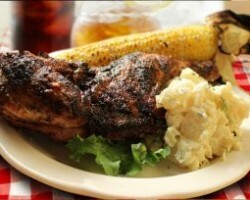 For the best bbq catering services in Buffalo, NY, Chiavetta’s catering is the place to go. With over 60 years’ experience in the catering industry, Chiavetta’s catering can handle any catering job whether small or big. 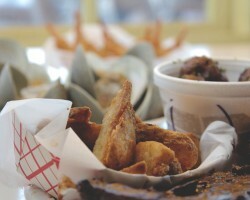 Clients can choose between full catering and takeout catering. Clients are guaranteed the best BBQ catering services in Western New York. Thus, in addition to serving Buffalo, Chiavetta’s also serves Amherst, Hamburg, and Lockport. As one of the best wedding catering companies in Buffalo, Chiavetta’s catering offers different packages. 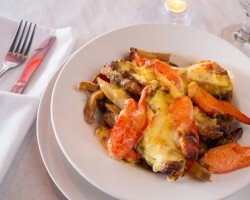 For over 20 years residents of Buffalo have been flocking Carmine restaurant for a taste of authentic Italian cuisine. The restaurant offers catering services for weddings, party, and corporate events. Being a local caterer the restaurant’s catering services are flexible and affordable. Thus, customers can choose from a customized menu and the restaurant’s in-house menu. Apart from offering full-party packages, the restaurant also offers lunch catering services. For authentic Italian catering, Carmine is the best service provider. From Buffalo to Lancaster, Berrafato has been serving the greater Western New York area for years. And with a chain of restaurants, this catering service provider can offer foods from its different local restaurants. Thus, clients get a rich selection of foods prepared to perfection. The catering service provider has an impeccable attention to detail. This combined with the company’s pocket-friendly prices make it one of the best caterers when it comes to preparing Mexican food. Berrafato’s catering has been around for over 15 years. Located in Buffalo’s Hertel Shopping district the Craving restaurant is one of the city’s culinary jewels. Thus it is not surprising that the restaurant also offers catering services. With an extensive and rich menu of foods from different parts of the world, Craving Catering can meet the needs of its clients in whatever they may need. Currently, the restaurant is the exclusive caterer at the Theodore Roosevelt Inaugural Site. They are one of the best providers of Buffalo catering service. 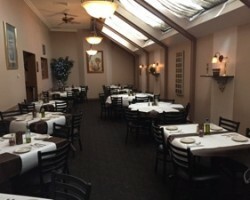 Capelli’s restaurant is located in Orchard park and is reputed for its delicious Italian foods. Opened in 1986, the restaurant has grown into being one of the top caterers in New York. Renowned for its Pizzas, Capelli’s provides catering services for a wide array of special occasions including weddings. At Capelli’s only the freshest ingredients are used in preparing meals. For full catering services, clients can always rely on the services offered by Capelli’s Catering. Capelli’s serves cheap food in Buffalo and its surrounding areas.